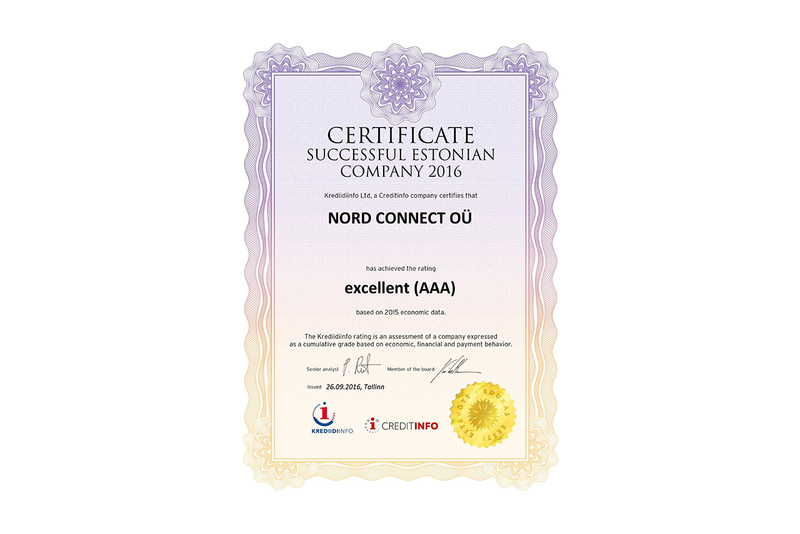 Nord Connect OÜ awarded with Successful Estonian Company 2016 certificate – Nord Connect Ltd.
We are proud to have received Successful Estonian Company 2016 certificate, along with an AAA rating from the Krediidiinfo based on 2015 economic data. This rating is an assessment of a company expressed as a cumulative grade based on economic, financial and payment behavior. Copyright © 2019 Nord Connect. All rights reserved.